St. Gallen, Switzerland and Novosibirsk, Russia: October 23, 2014 – AWV Informatik, developer of the ClassCAD platform and interoperability solutions for feature-based translations, and LEDAS, the leading provider of CAD/CAM research and development services, today announced the signing of a services and consulting agreement. This long-term agreement relates to research and development of several AWV projects by LEDAS, as detailed below. The two companies have a long and successful story of partnership going back to 2007, when AWV licensed the LGS geometric constraint solver developed by LEDAS. LGS was integrated into ClassCAD, a CAD platform used by several European industrial enterprises. The flow of feature requests from the ClassCAD team was a major driver in the further development of LGS and improvement in its capabilities. ClassCAD is not a typical CAD system; rather, it works as integrated platform to build end-user applications. ClassCAD provides an object-oriented environment for modeling 3D parts and assemblies. It includes a programming language for task automation within CAD applications. A standalone version with visualization (based on the VTK toolkit) is also available. The client-server version of ClassCAD runs on Microsoft’s Azure cloud platform with WebGL viewing in browsers. ClassCAD converts models from other CAD systems to its native format, and can export its models to other systems, preserving the feature history. 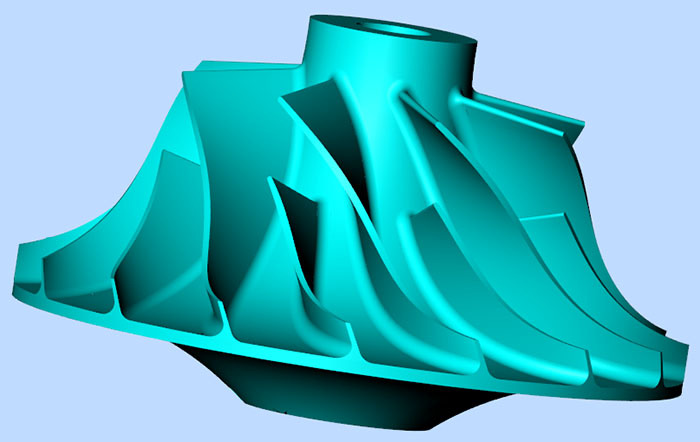 The first project to be developed under the new services and consulting agreement is high-performance, GPU-based tessellation of arbitrary surfaces, including NURBS. LEDAS began development of this project for AWV in mid-September on the basis of an older prototype, which did not produce stable results of appropriate quality. The expertise of the LEDAS team in this area is the key factor for the success of this project. The team obtained its expertise from working on numerous geometric modeling projects, including the recent development of LEDAS’ own Geometry Comparison technology that was integrated with the C3D geometric kernel from C3D Labs. AWV Informatik AG was founded in the year 2000 as a spin-off from the University of Applied Sciences of Technology Buchs NTB, Switzerland. AWV is an innovation company that concentrates on CAD software research and development. The main project of AWV is ClassCAD, an integrated environment for CAD applications. Founded in 1999, LEDAS Ltd. is a private, employee-owned high-tech software company. LEDAS is best known for the development of constraint-based design tools and related technological components. The company provides a wide range of high-quality software development and consulting services to the CAD, CAM, CAE, and PDM markets. LEDAS operates in the world-famous Novosibirsk research center, and has close contact with Novosibirsk State University. For more information, please visit company’s Web site at www.ledas.com.